2014, 2015 & 2017 Central Bergen League Champions! Members ages 5 to 17 can join the our swim team. 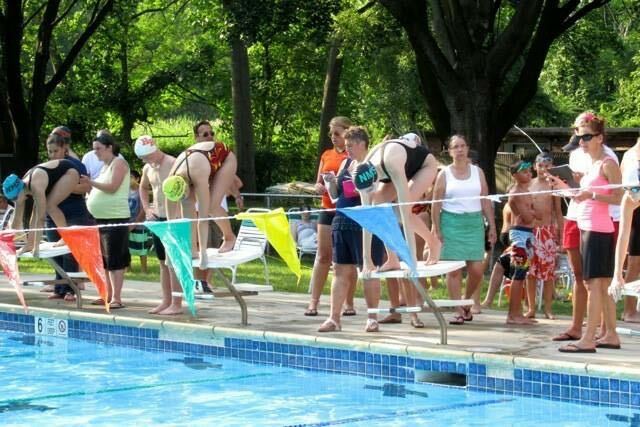 Non-members are not eligible for swim team. 2018 Swim Team apparel orders are due on June 28th. Your order form and payment can be left at the main office of the swim club. Proceeds go to support swim team but all are welcome to make a purchase. Click the button below to download the order form. 2019 Swim lessons begin TBD. Each session will consist of 8 lessons. Parents will pick the session most suitable to their schedule at registration. Registration will be granted on a first come first served basis. Children should be in bathing suits and ready to participate in a brief screening. Session assignments will be made at registration. Please note - there are no refunds or make-up sessions. Group swim lessons will begin on July 9, 2018. Rain dates will take place on Fridays. Lessons are currently open to members only. Non-members may call the swim club on Thursday, June 28, 2018 to see if there are spots available. Mommy & Me lessons available, depending on demand. Swim lesson questions Contact us today!